Ships today if you order in the next 13 hours 35 minutes. As everyday impurities find their way into our bodies, we may be left feeling tired or out of balance. 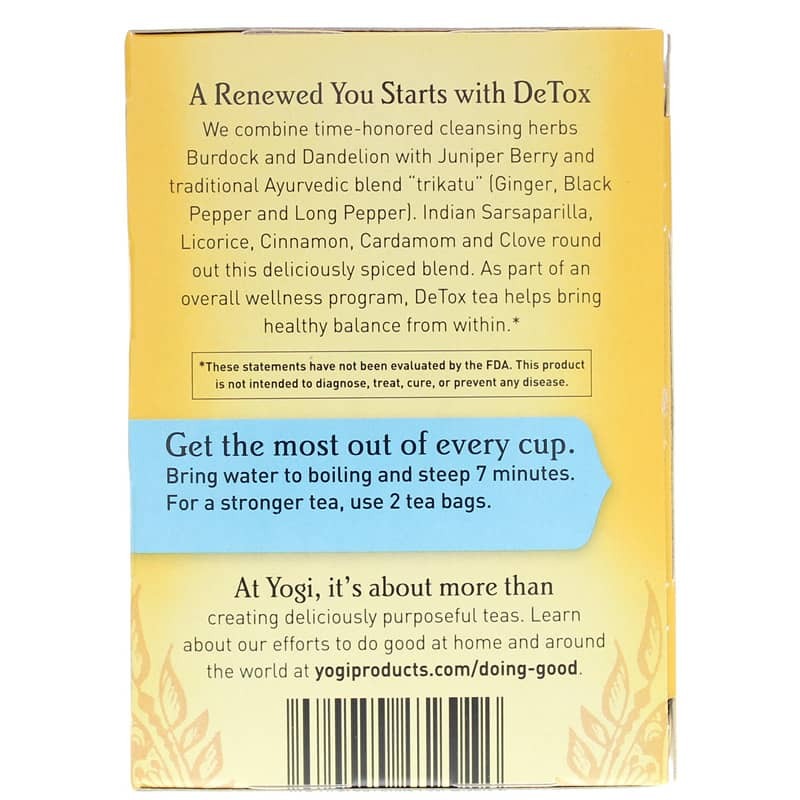 Yogi DeTox Tea is a gentle way to help the body cleanse itself by aiding the two primary filtering organs, the liver and kidneys. Non-GMO Verified. USDA Certified Organic. USDA Organic. 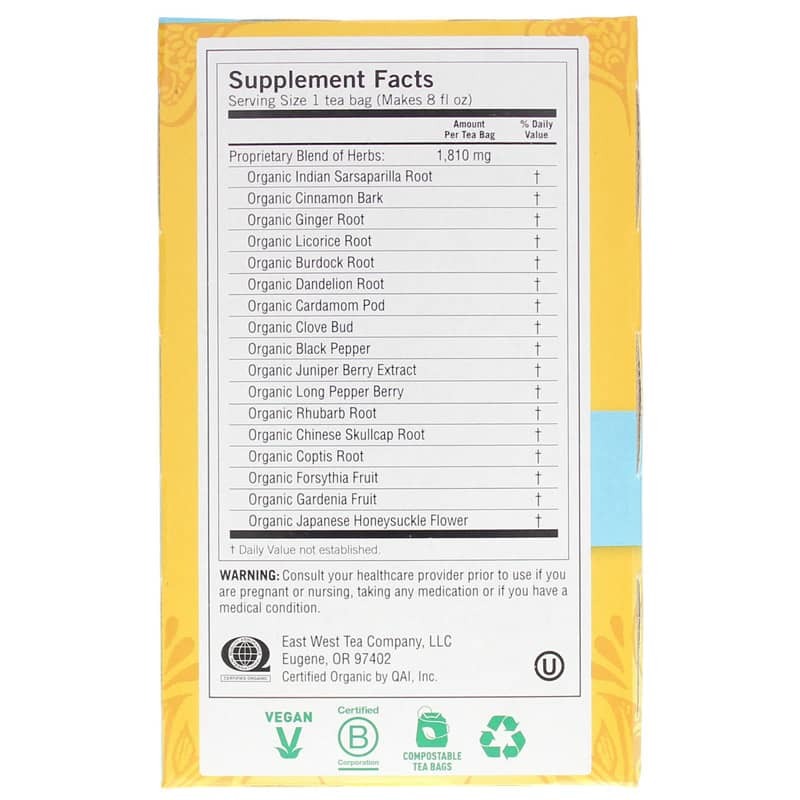 Non-GMO Verified. Vegan and Kosher. Bring water to boiling and steep 7 minutes. For a stronger tea, use 2 tea bags per cup. 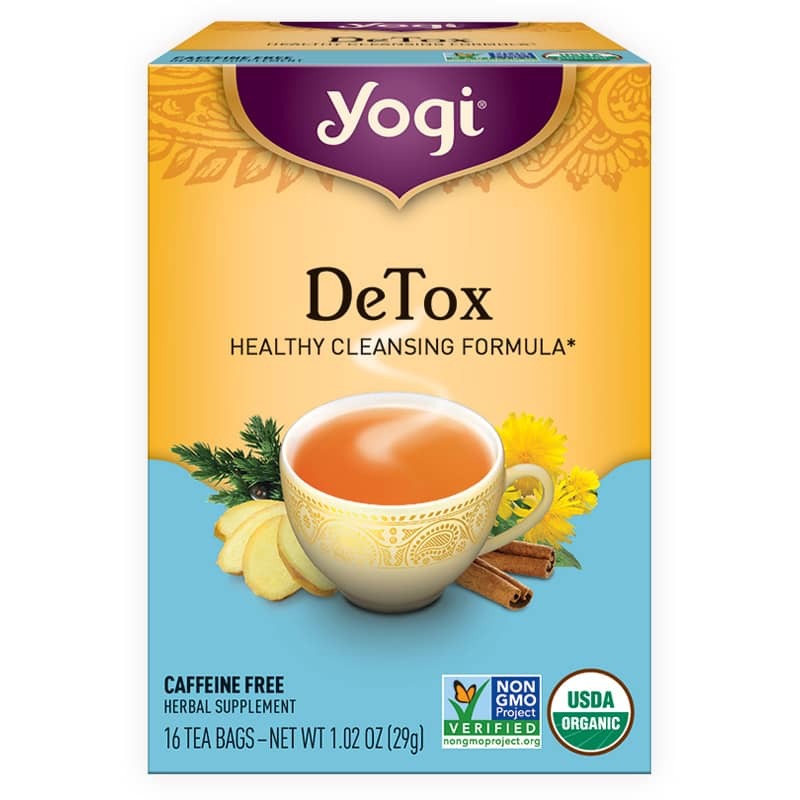 I have been using this Detox Tea for a number of years. I have been told my skin looks younger. I have recommended it to others and have given it to friends as gifts. My order arrived fast and price is reasonable.